At Wolf Rock, a photo by shaunadieter on Flickr. 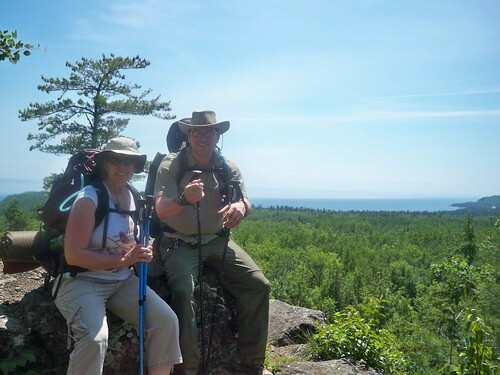 This year for vacation we backpacked the Superior Hiking Trail in MN. The first day of hiking wasn't bad - it was just very muddy. The landscape is very beautiful and the weather was perfect.